﻿ Fair-netzt ... from farm to fork! There is a severe need to redirect our economic actions on the right values. What does really matter and what defines our life? Nutrition, diets and food play a crucial role in our life. What we eat has a huge impact on our environment, our society … and vice versa. Our work efforts aim at doing the right thing when it comes to an essential area of human life. The “right” thing in this context may be shaped as regional, seasonal and close to nature … since life thrives in nature also (or even better) without human interference. 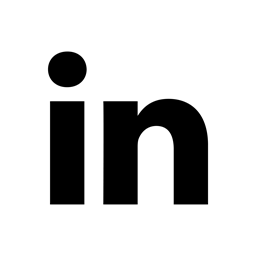 The central offering of the company are the development of digital business models and project management for team initiatives in the area of sustainable nutrition. Bringing pilot ideas quickly and professionally to life is paramount. Green-field initiatives are grown iteratively from a small seed to the bigger extent. A strong network of trusted partners is vital for this endeavor. Let’s work together on the right thing: for public welfare, our environment and us as individuals. Let’s improve one of the central areas of our society and economy: wholefood nutrition. "You are what you eat.” Let’s create a short food supply chain in our metropolitan areas which is fed with wonderful produce stemming from small and medium-sized farms in our regional neighborhood instead of agricultural industry. Building bridges between towns and the countryside, establishing relations, seeking highest quality from our surroundings! Let’s ensure an honorable future for the profession of a ‘farmer’ and that this profession is still done with significant human contribution, in spite of all technical tools that could and should assist it. The vision of the company “fair-netzt” is a day dream of how the people of Graz and its surroundings shape their nutrition in the year 2030. In 2016 some of this might already be real, but in order to preserve and expand the good offerings, strong efforts are needed in the subsequent years. This vision can serve as a role model for other metropolitan regions, if those towns choose to strive for it as well. In the year 2030 nutrition is seen as a bridge builder between the city and the countryside. Food is exchanged between the city and its rural surroundings. Graz has created a short food supply chain which is able to provide more than 80 % of its food demand all year round. Food is transported within 1-2 days from the farmers’ fields and storage facilities to the consumers. Supplier and customer are only up to 50 or a maximum of 200 km away from each other. Graz is supplied from this area, but does not absorb all the resources. There is enough food deliverable to all the other towns and villages that are also located in this area. A vivid, proactive and well-connected network of civil society, politics, public administration and SME has achieved that. This network is constantly evolving, reflecting and informing itself. It is open to other influences. The metropolitan area of Graz is acting in a food recycling economy, i.e. it can sustain on the existing resources, maintains them for a multi-generational future and produces even exportable surpluses for other regions. The majority of eaters draws its raw food and meals directly from regional farms or they are delivered from there. If there is a need for intermediaries, it’s ideally only one, for instance, a distribution warehouse or a restaurant. This enables true diversity, since various goods are delivered to many customers from various farmers. Diversity is kept up in between … as in nature … neither standardized nor rationalized to any smallest common denominator. Food is “real” and tastes good. It consists of ingredients which are grown close to nature. These ingredients are nurtured from diverse species and kinds, which are grown by all sorts of farms: full or part-time farmers, families, cooperatives, specialised processing farms and craftsmen. Graz and its inhabitants have managed to persist the good and to make it accessible to a vast population majority by the aid of organisational and technical aids. Human beings work for human beings and their fundamental needs. A big community of people evolved whose aim and achievement is to live freely, consciously, independently and far-sightedly in exchange with nature. Eating is regarded as a binding element in growing, exchanging, buying and indulging food. Being a farmer is a highly appreciated profession which is desirable and enabling a good living for the performing individuals and their families. Food, its ingredients and living creatures that are involved in this food cycle are also treated with respect. Social contacts are more important than documents or certificates. Food exchange creates trust among the individuals who also foster appreciation across the food supply cycle by working together. Graz has achieved to make its nutrition in a regional, seasonal, close-to-nature, diverse, waste-avoiding and fair manner! Please find details about ongoing projects and endeavors in the below section. Further below you can see completed projects as well as details of the professional track record. For any open question please do not hesitate to leverage the contact details at the end of this page! 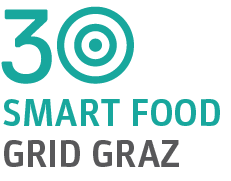 This Smart City project “Smart Food Grid Graz” developed a roadmap of how 30 % of Graz’ region food demand could be supplied from within a 30-km range by 2030. Austrian Treasures is a brand by Fairnetzt which focuses on the export of world-class, hand-made organic products.